After 11 years in the marketing industry, 8 of them in digital, I am pretty nerdy about analyzing my blog statistics. Something that I can no longer ignore is that my most popular content relates to babies – I mean, who doesn’t love babies? Specifically, I’m talking about baby’s special room – the nursery. I’m excited to announce that I’m initiating a weekly post, starting today, called “Nursery Theme Thursday.” It will feature a new theme for decorating a baby’s room every Thursday. I’m going to avoid the run of the mill stuff that you may love but certainly don’t need me to tell you about (e.g. jungle /zoo/farm animals, polka-dots, sports, etc.). Each post will be a very quick read, primarily featuring a visual concept or mood board with different furnishings, accessories and more that would work great in a room with the featured theme. Choosing a nursery theme can seem like a daunting task – but don’t sweat it too much. Pick something flexible and expansive so you can bring in items you find and love (and that baby will love), and you’re not stuck buying one specific crib bedding set for $300 in order to bring it to life. Perhaps I can provide you with a few nuggets of inspiration for your baby’s room, or for another special little one-to-be in your life. 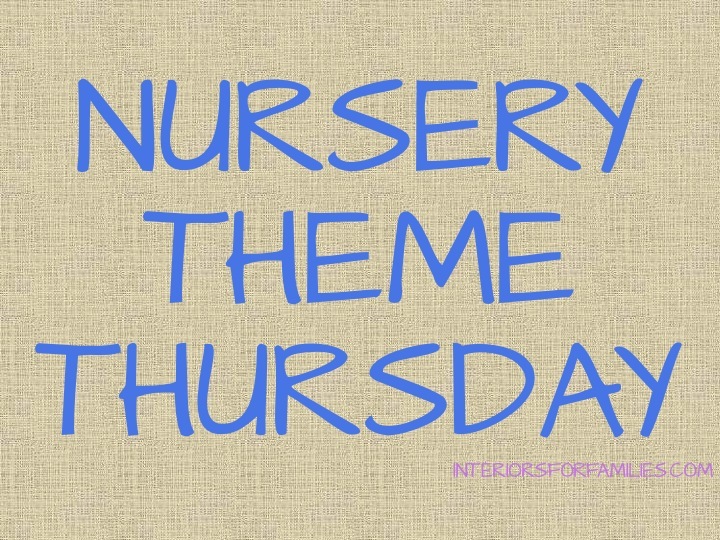 See you later today with the inaugural Nursery Theme Thursday post!